Auricularia (Auricularia polytricha, boltcovitka chlupatá, called Yung ngo, Kikurage, Mokurage in Asia, wood ear mushroom in English) is a wood-decaying edible mushroom. Sporocarps of Auricularia grow mainly on the stems and stumps of deciduous trees (maples, oaks, ash tree, European elder) and form clusters. It can be found throughout the year, even in winter, unless the winter is particularly cruel. 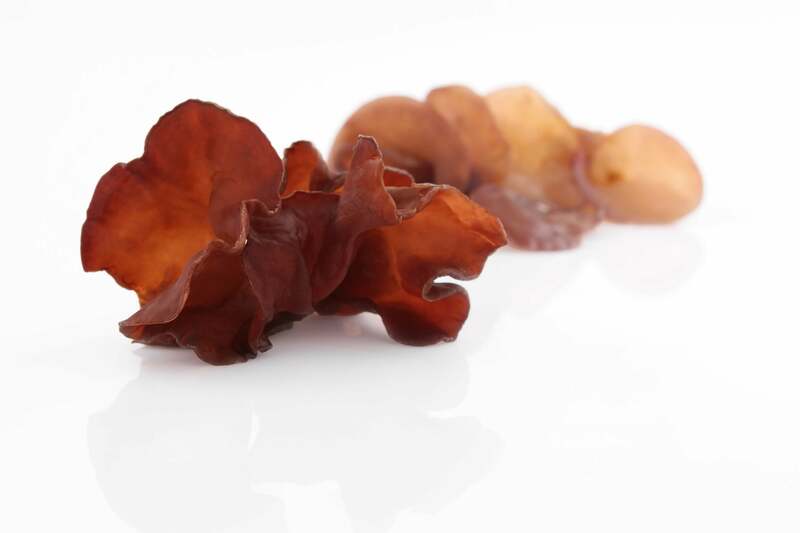 Auricularia received its name according to its shape and consistency, as it resembles the human ear or earlobe. The sporocarp has a gelatinous, flexible, rubbery structure, and it may have fine hairs on its surface. The colour of sporocarps is in different shades of brown. Auricularia is very often added to Asian dishes. It does not have a distinctive mushroom taste or smell, but its consistency adds another dimension to any meal – it makes it deliciously crunchy. Auricularia is both a popular food and a healing remedy, such as in traditional Chinese medicine, for various health issues. Notes documenting the use of Auricularia and its targeted cultivation, date back to 600 AD. These are documents describing its targeted cultivation from 600 AD. Auricularia was described and classified scientifically in 1789 by J. B. F. Bulliard, who named it Tremella auricula-judae. Only in 1897 was Auricularia renamed and included in the genus Auriculariaceae. This was done by the Austrian botanist R. Wettstein. Auricularia is a very universal mushroom with regard to its effects. It can be used to solve many health problems or in their prevention. Its effect on the cardiovascular system as well as on the immune system is very significant.